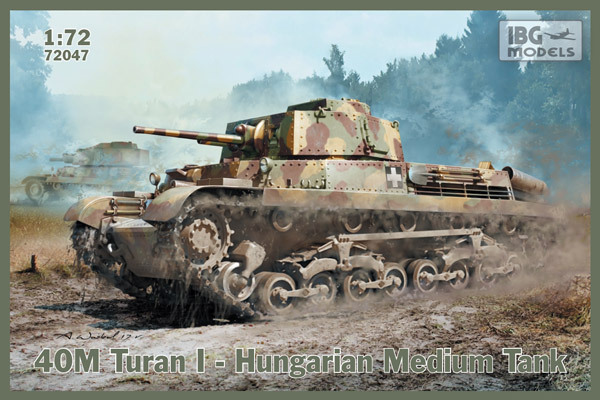 40M/41M Turan was a Hungarian medium tank. Its contruction was based on a Czech medium tank prototype created by Skoda. 40M Turan I, armed in a 40mm gun, was produced between 1941 and 1943 with a total of 285 tanks built. The production of a upgunned version (to 75mm gun) – 41M Turan II began in 1943. 139 of these vehicles were finished before the Soviet invasion on Hungary. 43M Turan III was a prototype tank armed in a long barrelled 75mm gun and also equipped with side skirts from the start. Only a single Turan III tank was built.